The Supreme Price, which opens the second annual University of Ottawa Human Rights Film Festival, is an inspiring tale of both the personal and the political as the story of the Abiola family offers an eye-opening study in the deep war for civil liberties waging in Nigeria. Hafsat begins her story by telling the camera that her mother, Kudirat, was assassinated during the height of her leadership in the Pro-Democratic movement in Nigeria. Her mother, The Supreme Price goes on to reveal, found herself a champion for a progressive Nigeria when she became an active tool for her husband, M.K.O. Abiola, as she campaigned for him in his bid for Presidency. Hafsat’s father won the election in part because of Kudirat’s involvement, but the younger Abiola explains that militant leaders took control in a coup d’état and imprisoned her father before he took office. He, too, died fighting for a free and democratic Nigeria, Hafsat explains in her candid and emotionally charged interviews that drive the film. The Supreme Price explores the Abiola family and, in turn, Nigeria’s fight for progressive ideals with unexpected candour. 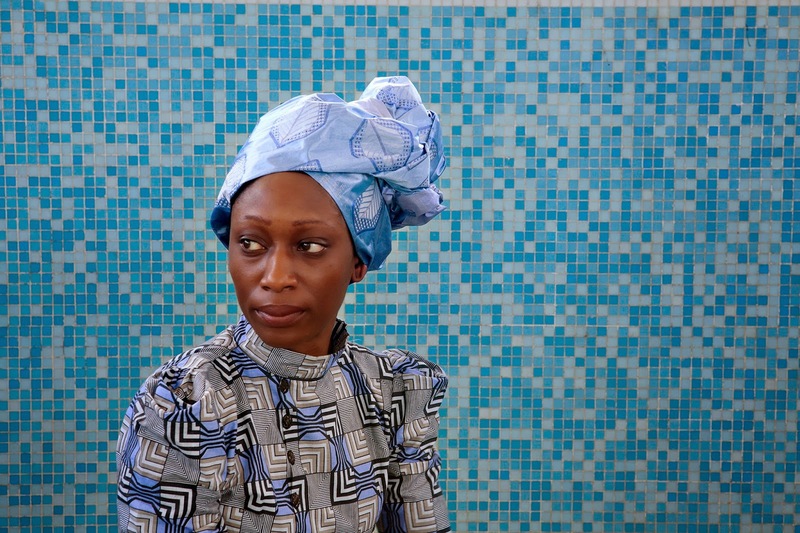 While much of the film places the late Mr. and Mrs. Abiola in a favourable light, Hafsat’s testimony, plus the interviews that Lipper presents with Hafsat’s sister Khafila and (especially) brother, Olalekan, show that the Abiola family itself presents a microcosm of Nigeria’s tricky relationship with human rights. The problem, Hafsat’s story explains, is that her father showed a remarkable gift for championing a progressive Nigeria, but his own marriage was defined by regressive ideals. The Supreme Price explains how Kudirat, one of M.K.O.’s four wives in addition to an un-totalled harem of mistresses, faced a burden of silence each day as her husband defined her as a wife and mother every other day of the week. Taking an active role in his campaign therefore offers both a personal and political milestone as the film shows women assuming the same agency as men and inspiring the masses with equal measure. Lipper connects Kudirat’s story with the voices of women in contemporary Nigeria who face the same struggle. A circle of women jokingly admits that a Nigerian woman doesn’t need to go away to the same academic institutions as Hafsat in order to get a degree. Nigerian women, they say, all share PhDs: “Put Her Down Syndrome,” they say with a tired sternness that fades away from their laughs. The Supreme Price approaches Nigeria’s Pro-Democratic movement from various angles as it portrays generations of women who refuse to stay silent in the face of oppression. The interviews and archival excerpts put a human face on the struggle as Lipper weaves together a complex, multifaceted portrait of both the late Abiolas and their daughter. The layers of history and narratives sometimes becomes unfocused as Lipper unpacks the economic, geographical, historical, and religious dynamics that weigh on the fight for civil liberties in Nigeria. If, however, The Supreme Price ever struggles to make clear which of the Abiolas the film is actually about—whether Hafsat, Kudirat, or M.K.O. is the star subject—the multiplicity of voices creates a collective movement. The Supreme Price ultimately presents an inspiring portrait of one generation carrying the fight of another as Hafsat takes inspiration from both her mother and her father and fights for a free and democratic Nigeria in which her children may flourish. The multigenerational campaign for both civil liberties and the rights of women is genuinely moving as The Supreme Price shows one family courageously continue the fight when it has already paid dearly. This powerful documentary is bound to incite the activist in everyone. The Supreme Price screens at the University of Ottawa Human Rights Film Festival on Thursday, Oct. 2 at 7:00 pm at the Alumni Auditorium in the Jock Turcot University Centre, 85 University St. at uOttawa.